DISCLAIMER: This article is to answer player's questions about missing/incorrect data as of the DEV SERVER. Note that much of this is placeholder. Gaijin has put much effort into this tree, and will continue to do so! Gaijin has shown its players the Japanese Ground Forces Release Tree this past weekend. With it, players got to finally see the heat that Japan will be packing in this upcoming patch: a fully fledged tree, 33 vehicles from tiers 1 to 5, including both regular and premium vehicles. Not a year prior, Gaijin was voicing their doubts about an independent Japanese tech tree, seeing it as impossible. However, this past half year, Gaijin has been hard at work making it for you, the players, who demanded their arrival. Finally the player-base gets a real taste of their work. On December 10th, Gaijin gave access to the 1.65 dev server from 19.00 GMT to 07.00 GMT the next day to give players hands on playability with the new Japanese tanks and the etc. Players' responses to these tanks were exceedingly positive, even those who had been doubtful of Japanese tank potential prior to testing these vehicles. I, too, am amazed at Gaijin's work and time spent on these vehicles, but it is not all good. Today I'll be giving my thoughts on the Japanese tanks currently as of the first iteration of the Dev server. To clarify beforehand, I am not going to bash Gaijin. Working with them has and will be a wonderful opportunity for both parties. War Thunder is a game, and like all game not everything will ever be completely accurate. Balance will always come before historical numbers. That is just the play of the game. So with that said, let’s get into it! The major problem Japanese tanks currently have are their incorrect stats. While the models of the tanks themselves are generally perfect, with a few exceptions, hard and soft stats have proven to be the bane of their current implementation. Most of the common errors in the vehicles’ stats involve things such as gun depression, rate of fire, top speed, and other numbers. The greatest concern is improper penetration numbers; in most cases Japanese tanks are underperforming. Nearly all of the guns currently in the game lack their proper shell list.Gaijin gave the majority of Japanese tank cannons in game only basic HE or APHE. While the Japanese heavily emphasized armour piercing high explosive munitions throughout the war, it was not their only option, especially during the later years. Due to this basic implementation, Japanese tank cannons have lower than usual penetration numbers, due to both the missing AP shells and the unhistorical lowered penetration of APHE. This has really limited the usefulness of the tanks in the tree and will force players to use more caution than needed when taking these tanks onto the battlefield. Here are some tank profiles I find the most notable after seeing the Dev server. Model and Paint is very accurate, despite gun flaws. 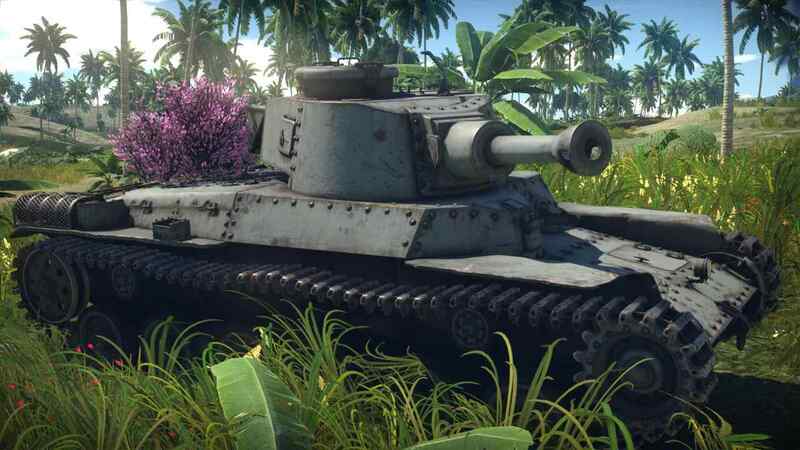 The Tier 2 premium for Japan is the Type97 Chi-Ha Naval Short modification. This vehicle was equipped with a Naval 12cm mercantile cannon by the Japanese marine force, the SNLF, as a defense unit on Japanese naval bases and littoral assaults. A series of 14 confirmed units were built in 1944-1945, and stationed in the Sasebo and Yokosuka naval bases. The tanks only saw limited combat by the war's end. This tank has potential if it is given its proper selection of shells and a raised BR. However currently the tank is nothing more than a novelty toy. 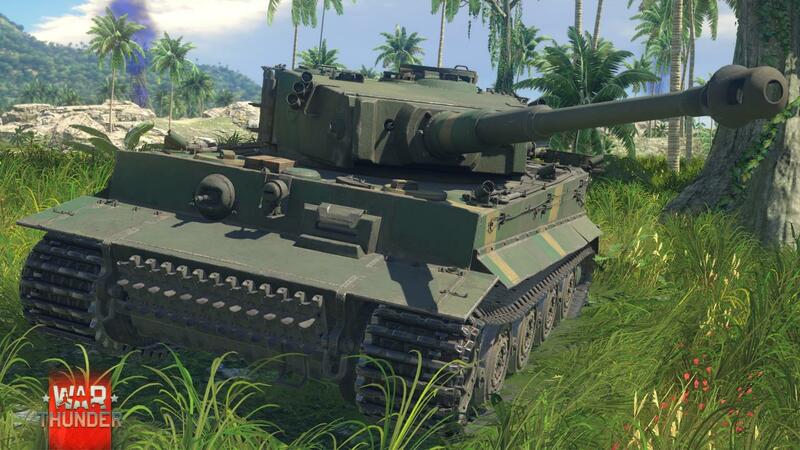 The Tier 3 premium candidate for players is Heavy Tank No.6. In 1943, the Japanese embassy in Berlin had arranged for vehicle testing with German military units. The embassy officers favored the look of the German Tiger and Panther tanks, requesting the Japanese Government to pay for samples. On February 28th, 1944, Japan completed the transaction of the Tiger E. The tank was later given back to Germany as the Japanese Military realized its uselessness to the war effort. The tank is fairly straightforward to players accustomed to the German tree. For all intents and purposes the heavy Tank No.6 is just a slower Tiger with less mantlet protection. Statistics-wise the tank is good, however the model is questionable since Gaijin has modeled the tank as if it were a later model. 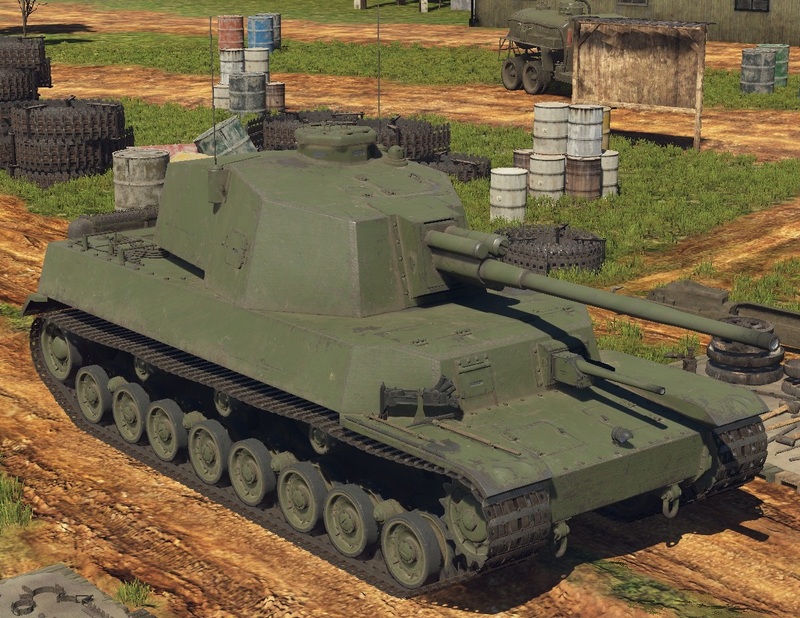 Things such as the reinforced turret roof, steel rims, track protection, headlights, and the smoke launchers are all little details inaccurate to the model the Japanese purchased. Nevertheless, the tank seems to fit well at 5.7. The Type5 Chi-Ri II was one of Japan's last medium tank development projects of the war. Designed in tandem with the Chi-To, the Chi-Ri emphasized Japan’s choice of the Type5 75mm cannon as the main anti tank gun for the last stages of the war. The Chi-Ri went through numerous variations, The most known being the model with the large turret containing an autoloader. What made this tank stand apart from others was its 3 shell belt-fed autoloading mechanism encased in a large box-like turret. The tank was the second design, hence the name Chi-Ri II. Only one prototype of this design was built. The Chi-Ri is the staple of the Japanese ground forces. Its unique gun mechanism coupled with large unprotected silhouette and average mobility offers players a unique experience. Many players point out the odd rate of fire and reload of the tank, Currently the tank has a full reload of 25-30 seconds and a belt reload of 4 seconds. Currently this is a balance decision as the tank's historical numbers being as high as 30 rounds per minute. The shell speed historically was too fast and caused mechanical issues and was taken out and rejected. Because of the system not working properly, this gives Gaijin an allowance to play with the numbers to a degree. Other errors include the turret being mounted too far towards the center of the hull when it was actually further forward; the gun also has a lower barrel cylinder which historically was not mounted. However, the biggest issue is the gun performance (this is a problem for all Type 5 75mm tanks) as the penetration numbers are off. The only shell the gun has at the moment is the Type1 APHE. This has a listed penetration of 139mm at 100 meters. Of course this is fairly overbuffed from the historical number of only 124mm. The Type 5 75mm is currently missing two AP shells, Kou and Otsu. Both shells offer dramatic and needed increases in penetration for the vehicles which use this cannon. The ST-A2 was one of the first prototypes built for the SDF in hopes to creating a modern main battle tank in the midst of the spread of communism in the East. As its name implies, the ST-A2 was the second of the series to have been completed, in February of 1957. It featured a low suspension. The tank's tracks proved to perform above standards in cross country terrain mobility, and it was selected to further the project that led to the Type 61. 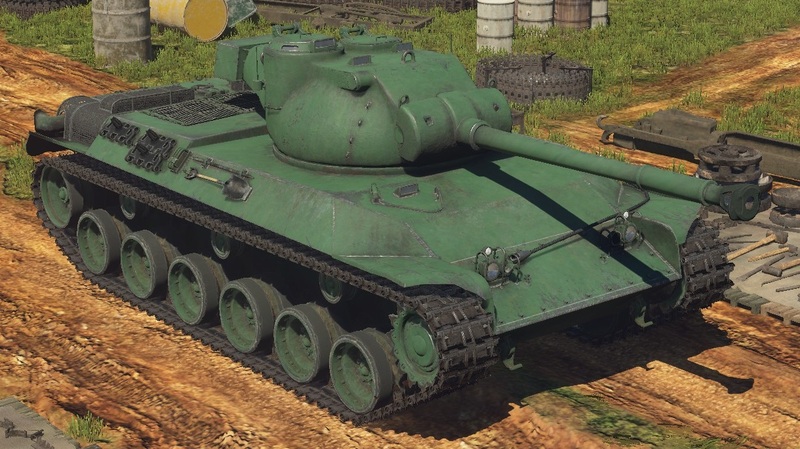 In War Thunder the ST-A2 is, at the moment, the worst tank model wise. Both the A1 and the A2 have considerable proportion inconsistencies for their turrets and cannons. The A2's turret is much smaller than the historical counterpart, including its gun length (for some reason Gaijin shortened it but kept the A1's?). Because of this, the internal module and crew placement is unusually inaccurate. The crew are all kept tightly packed because of the inaccurate turret size, and this in return causes the ammunition stowage to be crammed around the turret ring, making the thinly protected sides an easy target for any caliber of gun. Currently this tank needs the most work done to it, otherwise it'll end up being the sore thumb of the tech tree. The ST-A2 mounts a slightly different 90mm tank gun than the one used on American-produced post-war tanks. However Gaijin ingame has simply copy-pasted the American gun for the Japanese. For some time now the penetration mechanics and statistics on these 90mm guns have been glaringly inaccurate, with substantially lowered penetration compared to their historical values. This cripples the guns’ performance quite noticeably. Ha-Go: Low Penetration, Lack of Shells. I-Go: Low Penetration, Lack of Shells. Ho-Ro: High Penetration, Low Depression. Ke-Ni: Low Penetration, Lack of Shells, Low Speed, Overbuffed Hull Armour. Ka-Mi: Low Penetration, Lack of Shells. Chi-Ha Kai: Low Penetration, Lack of Shells, Low Depression, Low Elevation. Ho-I: Low Penetration, Lack of Shells, Low Depression. Naval Short: Lack of Shells. Chi-He: Low Penetration, Lack of Shells, Low Depression, Low Elevation. Ho-Ni III: Low Penetration, Lack of Shells, Low Depression. Chi-Nu: Low Penetration, Lack of Shells, Low Elevation. Chi-To: Low Penetration, Lack of Shells, Low ROF, Low Depression, Low Elevation. Na-To: Low Penetration, Lack of Shells, Low ROF, Low Depression, Low Elevation. So-Ki: Incorrect Gun, Low Penetration. Heavy No.6: Small Cosmetic Errors, Overbuffed top turret armour. Chi-Ri II: Low Penetration, Lack of Shells. ST-A's: Low Penetration, High Hull Armour, Wrong Xray, Small Turret/Guns, Low Depression, Low Elevation. STB-1: Low Depression, Low Elevation. Type74: Low Depression, Low Elevation. Type60: Low Penetration, Lack of Shells. Most of these errors seem to be due to placeholders. What was seen on the Dev Server is not entirely indicative of what the actual patch release may bring. Many hardstats such as vertical guidance not being able to depress far enough seem likely to simply be temporary, as their implementation was practically random. This post would have been more in depth and posted earlier, but some issues have arisen which have occupied my time. However, Gaijin has released the 1.65 trailer recently, so the patch will be coming soon. I had originally planned to make a detailed writeup on each tank individually, but things came up and I'm just went ahead and typed something up quickly to get out. Once the patch is live, I will make a more detailed follow up post for everyone. The Type 74 article will be worked on this weekend when I have time to spare. Stay tuned. "3-shell belt autoloading mechanism.....as high as 30rpm.....this gives Gaijin an allowance to play with numbers"
The Flak 88 ingame has a rof of between 9.2 and almost 15 rpm (depending on crew skill). Main thing I can see is "LOW PENETRATION", which is absolutely true. two thousand and bloody 18. depression fixed . kou round added (only to type 5 guns) turret rotation fixed on chi-ha based tanks. pintle mounted mg aded on some vehicles . heat round on st series replaced with heatfs (same fermormance diferent icon) ho-ri tank destroyer added. Performance wise now they are ...feasible... kinda... keep praying an we migh get the models fixed by 2020. So it's been well over a week now, has anything changed? The Chi-Ri ii auto-loader seems like it still needs some adjustments. I don't think there was a LONG reload rate after firing 2 shells and a clip. It sounds to me that the Chi-Ri ii was capable to fire 1 shot around every 3 seconds or 3.3 sec while the empty tray is reloaded asap. Belt-Feed was rejected, but this tray is not a clip therefore i'v come to a conclusion that it should be reloaded after the empty tray rotates. The missing shells tho and low pen, that's what holding back Japans' full potential in War Thunder. "Low armor but strong weapon".